If you're keen to find out more about dementia, there are lots of great sources of advice or information. Online, there are lots of websites offering information, advice and support. Or you might want to explore dementia further through books, films or TV. Through the news, you can find updates on issues like good social care for people with dementia, or the latest research into treatments. In this section, we'll show you the best places to go if you want to continue learning about dementia. Reading a book about a health condition, or seeing it portrayed on screen, can often be helpful. It may help you learn more about the effects of that condition, understand it from a different perspective, or feel reassured that you’re not alone in your situation. Even fictional tales, when told well, may strike a chord or change your thinking. 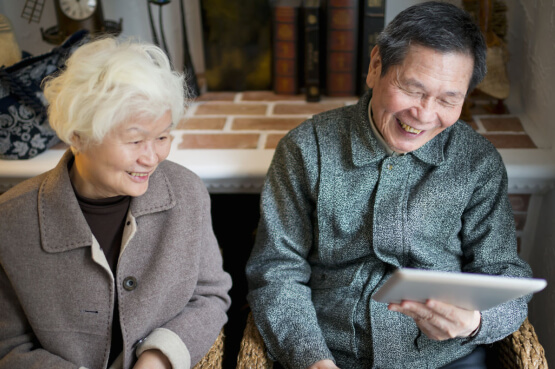 With dementia affecting more and more of us, it’s no surprise that there are plenty of books, TV programmes and films about it. On this page, we’ve listed a small selection of these as a starting point. We’ve based our picks on personal recommendations from Bupa staff, as well as positive reviews and accolades from trusted organisations. If you have any suggested additions to the list, or feedback on what we’ve included, we would love to hear from you – please email us. One of a number of guidebooks available about dementia, this book aims to offer practical advice and tips in an accessible way. Those who have praised it include dementia expert Professor Graham Stokes, who helped Bupa to develop its dementia information. 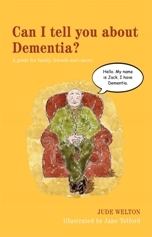 This short illustrated book sees a character called Jack explaining how dementia affects him. 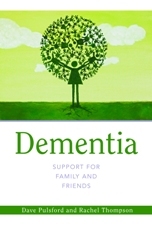 The book has been recommended as a useful way to help younger family members understand a relative’s dementia. Bupa Dementia Lead, Fran Vandelli, describes this book as: "A wonderful series of case studies." It gives 22 real stories of people living with dementia, which reveal how unique each person's experience of dementia can be. 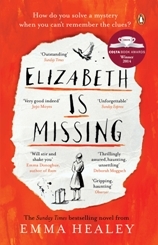 This book tells the story of a character called Maud, who begins to search for her missing friend Elizabeth, despite Maud herself struggling with dementia. As well as receiving rave reviews as a suspenseful tale, the book was praised by the charity Alzheimer’s Research UK for dealing sensitively and realistically with the subject of dementia. Dementia can affect family relationships in a number of ways. This book tells a story about the impact of early-onset Alzheimer’s on one family, and how they ultimately come together despite the challenges they face. Reading well books on prescription for dementia is a list supported by several big dementia charities and most libraries in England. 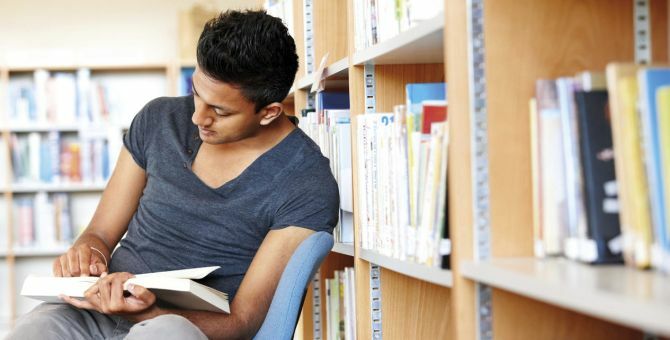 It suggests books that you may find helpful if you have dementia, are caring for someone with dementia, or would like to find out more about the condition. 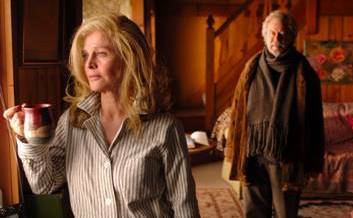 Based on a story by celebrated writer Alice Munro, this Canadian film is about the relationship of a couple affected by Alzheimer’s disease. Once Fiona is diagnosed, she insists that her husband Grant takes her to a nursing home. The film explores the struggles that the couple face in coming to terms with this situation, and their efforts to maintain their relationship in the face of several challenges. This drama, based on a book of the same name, earned Julianne Moore an Oscar for her portrayal of a woman living with early-onset Alzheimer’s disease. The film follows her character, a linguistics professor called Alice, as she tries to cope with the impact of the dementia on her work and her family life. It has been praised by people living with early-onset dementia for realistically showing a range of symptoms. The story is very moving, but also naturally quite sad, so some viewers may find it upsetting to watch. Another Oscar-winning film, this time for Best Foreign Picture. It shows a couple living in Iran who separate, and follows the events that ensue in their family. While the film touches on a number of themes and isn’t specifically about dementia, one of the main characters has Alzheimer’s disease. 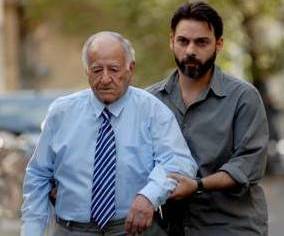 The film has been praised for accurately depicting the condition and the frustration that dementia carers can face. A three-part documentary exploring a particular approach to dementia care. Staff at the care home featured don't correct the misconceptions of residents with dementia, but try wherever possible to join in with them and preserve their sense of wellbeing. At the time of writing, the entire series is available for free on the All4 Player. A documentary investigating the science behind Alzheimer’s, as told by David Suzuki, a scientist with a family history of the condition. When we most recently checked, the documentary was available in the UK on the streaming service Netflix (subscription required). Documentary-maker Louis Theroux travels to the United States, where he meets people with dementia who are living in residential care. The programme particularly focuses on the loved ones of those in care, and their devotion. The documentary was available on Netflix (subscription required) when we last checked, and clips were available on the BBC website. Have you read or watched any of the books, films or TV programmes listed above? Or do you have a suggested addition? We would love to hear from you by email. If you have a diagnosis of dementia, or you’re caring for someone with the condition, good information, advice and support are essential. Even if you just know somebody with dementia – like a neighbour or friend – or want to find out more, it helps to know where to look. But the web is full of health information and it can be hard to know who to trust. So we’ve picked out some of the best places you can go online for dementia information, advice and support. Alzheimer’s Society is the UK’s largest dementia charity. They provide information and support to people with dementia and their carers, and invest in research. The Alzheimer’s Society website contains a huge amount of information on all aspects of dementia. Their online factsheets cover specific topics in a lot of detail. You can also order hard copies of their information. Their health information is certified by the Information Standard. This is an accreditation scheme that assures you that the information you’re reading is of a high quality. Talking Point is an online discussion forum run by Alzheimer’s society for people affected by dementia. Users share advice and information, and offer emotional support. The forum is moderated, but remember: as with any social platform there’s no failsafe way of screening posts. There could be some discussions that you find unhelpful or upsetting, so be sure to read the guidelines and rules before getting started. NHS Choices is the National Health Service’s health information website. It provides information and advice on a wide range of health topics, including dementia. This section of the website is dedicated to dementia. It includes information about symptoms and diagnosis, living well with dementia and care and support. You can read real-life stories from people with dementia and their carers and learn how you can become more involved in helping those affected. Alzheimer’s Research UK is a charity dedicated to powering research into dementia, focusing on prevention, treatment and cure. This section of the website provides comprehensive information about dementia. The main focus is on the facts around dementia, rather than practical support for carers. This whole area is dedicated to dementia information for children. It’s divided into three categories: information for young children, juniors and teenagers. Games and interactive features make the subject more engaging. Age UK is a charity helping people make the most of later life. As a whole, it has a much wider remit than just dementia, but it does offer services and expertise in this area. This section of the Age UK website provides information about dementia. Their guide Caring for someone with dementia is particularly helpful. Carers UK – a membership charity supporting carers of all kinds – hosts a forum on its website. This board on the forum is for dementia carers to share and seek information, advice and support. The forum is moderated, but remember: as with any social platform there’s no failsafe way of screening posts. There could be some discussions that you find unhelpful or upsetting, so be sure to read the guidelines and rules before getting started. We're working on this section at the moment. Please check back soon!